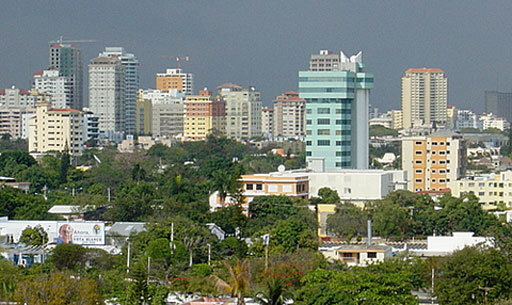 Santo Domingo de Guzm�n (known as Santo Domingo) is the capital and largest city in the Dominican Republic, and the second largest in the Caribbean. 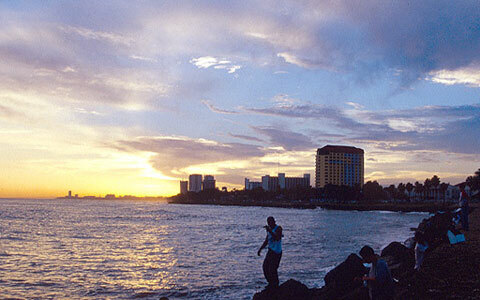 The city is located in the Caribbean Sea at the mouth of the Ozama River. It is the oldest continuously inhabited European settlement in the Americas, and was the first seat of Spanish colonial rule in the New World. 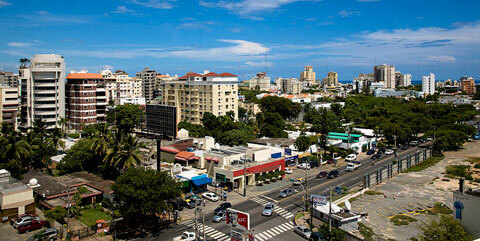 Santo Domingo today is a cosmopolitan city with a very intense past related to the discovery of the American continent. 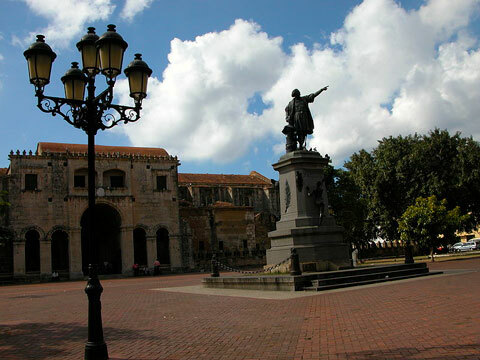 Famous landmarks in Santo Domingo include the Calle El Conde, the Puerta de la Misericordia, the Catedral Santa Mar�a La Menor (Catedral Primada de Am�rica), and the Alc�zar de Col�n, all of which are located within the Zona Colonial district of the city. This part was declared a UNESCO World Heritage Site in 1990. Outside of the colonial quarters, the area surrounding the Malec�n (seawall) is a vibrant commercial and tourist center, having as a centerpiece the large obelisk located at the eastern end of the George Washington avenue. Other places of interest are Plaza de la Cultura, which houses the city's most important cultural venues such as the Teatro Nacional and the Museo de Arte Moderno; the Palacio de Bellas Artes , a neoclassical theatre that is the permanent home of the Orquesta Sinf�nica Nacional (National Symphony Orchestra); the Parque Mirador Sur, a six square kilometers park in the southwestern part of the city; the Faro a Col�n, a cross-shaped lighthouse built in honor of Christopher Columbus; and the Boulevard 27 de Febrero, a pedestrian promenade located on the busy Avenida 27 de Febrero which displays many works of art from prominent Dominican artists and sculptors. Another attraction is the Centro Ol�mpico Juan Pablo Duarte a sports complex in the center of Santo Domingo. This complex was used during the 2003 Pan-American Games, but has been severely abandoned since. Once you arrive to our hotel please do not hesitate to ask any of our staff members to get any information about the city or its services. We will be able to provide you with information as well as different guides of the city where you will find all the activities and hot spots of the capital of the Dominican Republic.